Barely a year after a rocky initial public offering, Roots Corp. (ROOT.TO) is slamming the brakes on its expansion, sending shares of the purveyor of quintessential Canadiana tumbling. The company, known for its leather goods and casual wear imprinted with beavers and maple leafs, cut sales forecasts after reporting third-quarter financial results that fell “well-below” its own expectations. It also vowed to pare store openings in the U.S. next year and slow down its entry in new markets. “We are planning to take a more conservative approach to our expansion plans until we see meaningful consumer response to, and sustainable momentum around, both our new marketing initiatives and the products that we tested in fiscal 2018 for larger scale rollout in fiscal 2019,” Chief Executive Officer Jim Gabel told analysts on a conference call. While Gabel said he’s confident of the company’s long-term prospects, the contrast couldn’t be starker with Canada Goose Holdings Inc., another company evoking the Great White North that went public last year. 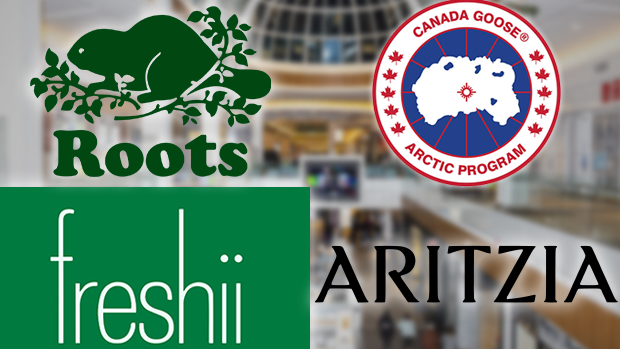 Roots shares have dropped 69 per cent since its IPO, while Canada Goose grew about five-fold and recently raised its earnings estimates. Roots blamed the absence of a large marketing campaign, unseasonably warm weather and a stronger quarter a year earlier for the decline. Comparable-store sales dropped 13 per cent, the most since data became available. They’ve been strengthening since, including with “encouraging” Black Friday and Cyber Monday results, Gabel said. The shares dropped 20 per cent to $3.63 at 11:48 a.m. in Toronto, the most since the October 2017 IPO. They are worth less than a third of their offer price of $12. Which of these recent IPOs are you most likely to invest in?